Product prices and availability are accurate as of 2019-04-19 11:01:42 EDT and are subject to change. Any price and availability information displayed on http://www.amazon.com/ at the time of purchase will apply to the purchase of this product. With a crisp, formal feel and elegant hand, 100% Pure cotton letterhead paper is the ultimate in craftsmanship and materials. Watermarked. Acid-free for archival quality. Durable for embossing, engraving or letterpress. Electronic printing guaranteed - superior performance in all office equipment. 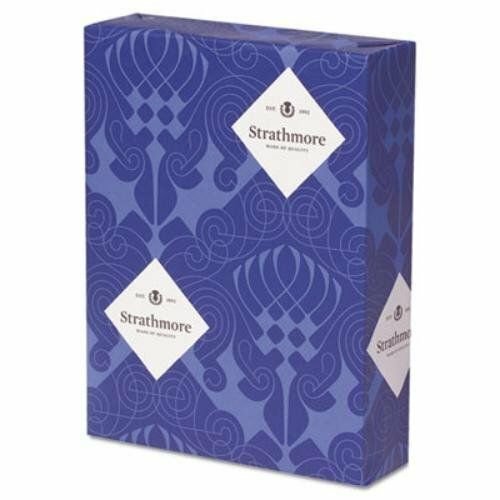 100% of the electricity used to manufacture Strathmore paper is matched with Renewable Energy Credits (RECs) from Green-e certified wind power projects, and the thermal energy used in the manufacture of this paper is offset with Verified Emission Reduction credits (VERs). Size: 8 1/2 x 11; Paper Color(s): Natural White; Paper Weight: 24 lb; Sheets Per Unit: 500. Crisp, formal feel and elegant hand; the ultimate in craftsmanship and materials. Electronic printing guaranteed - superior performance in all office equipment. 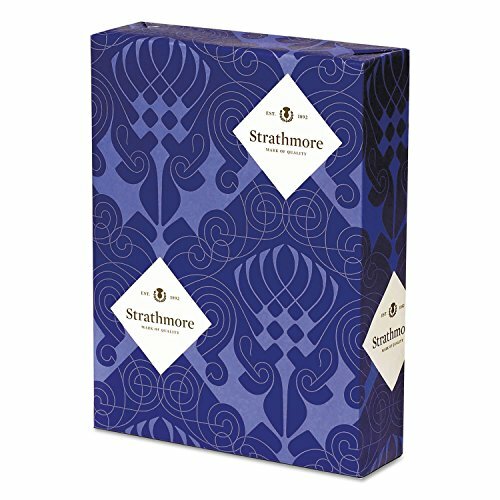 100% of the electricity used to manufacture Strathmore paper is matched with Renewable Energy Credits (RECs) from Green-e certified wind power projects. Thermal energy used in the manufacture of this paper is offset with Verified Emission Reduction credits (VERs). Durable for embossing, engraving or letterpress.